As the latest Chinese trade data saw a slump in US imports this left the US Dollar to Pound Sterling (USD/GBP) exchange rate on a weaker footing on Friday morning. With the ongoing US-China trade spat appearing to have less of a detrimental impact on the Chinese economy, with Chinese exports to the US continuing to rise, the mood towards the US Dollar (USD) soured. 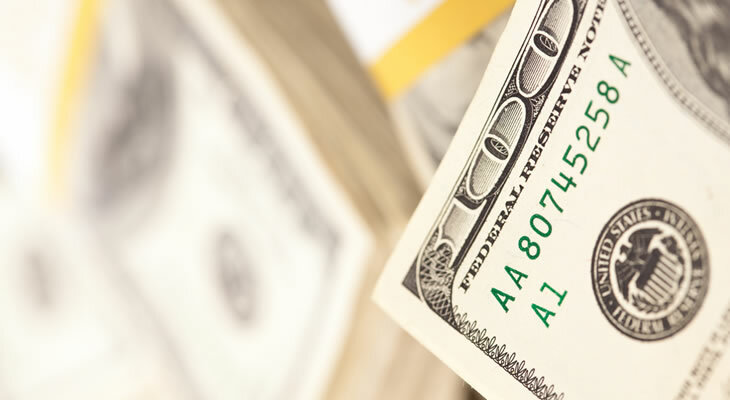 An improved sense of market risk appetite limited the strength of USD exchange rates ahead of the weekend, even in the wake of Thursday’s stronger US jobless claims figures. While investor anxiety over Brexit persisted this was not enough to keep the USD/GBP exchange rate on a positive footing, meanwhile. Although progress towards a withdrawal agreement remains lacking investors were still encouraged to favour Pound Sterling (GBP) over its rival. However, demand for the US Dollar could pick up once again on the back of April’s University of Michigan consumer sentiment index. Forecasts point towards a steady reading from the index, indicating that US consumers maintained a relatively positive outlook this month. Signs that increased global trade tensions have failed to dent consumer confidence may give USD exchange rates a fresh boost. On the other hand, any deterioration in domestic sentiment could put a dampener on the appeal of the US Dollar as confidence in the economic outlook diminishes. If Federal Reserve policymakers also continue to express caution this could keep the USD/GBP exchange rate on the back foot in the days ahead. As long as the Fed looks set to leave monetary policy on hold for longer the US Dollar could struggle to find fresh traction. Even if US data disappoints, though, the USD/GBP exchange rate is still likely to benefit from the ongoing sense of uncertainty surrounding Brexit. Although the UK is no longer at imminent risk of crashing out of the EU without a deal this sense of investor relief is unlikely to keep the Pound on a stronger footing for long. With the economy now potentially exposed to another six months of Brexit-based uncertainty GBP exchange rates look vulnerable to further downside pressure. Until MPs show signs of moving towards a consensus on the shape of the withdrawal agreement and the UK’s future relationship with the EU any Pound positivity may prove short-lived. As economic momentum has already shown evidence of faltering in the face of Brexit uncertainty any continued lack of progress towards a deal could see GBP exchange rates lose further ground. If Parliament appears on course to agreeing a path forward, however, the Pound could return to a stronger footing against the US Dollar.